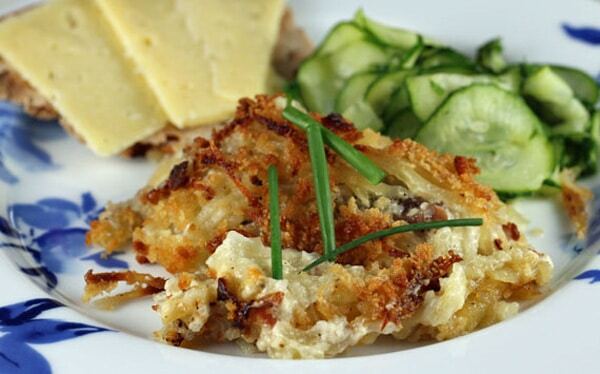 Right now before Christmas, inredningsvis has a recipe for a tradition Swedish Christmas dish: Janssons Frestelse, or Jansson’s Temptation in English. 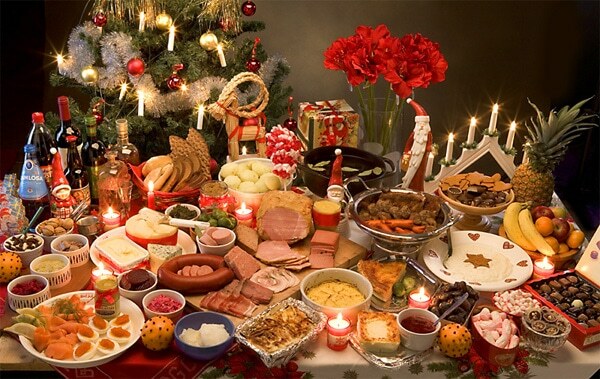 This is a dish that is commonly found in Swedish Christmas buffets. Try it yourself! Peel potatoes and slice into thin strips. Peel the onions and slice into thin strips. Layer the potatoes, onions, and anchovies in the baking dish. 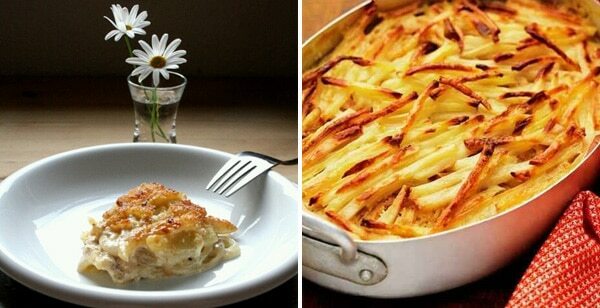 Finish with potatoes on top. Pour in anchovie brine and cream. Slice the butter thinly using a cheese slice and place on top. Bake in the middle of the oven at 225°C for 1 hour. When the potatoes are soft, your Jansson’s Temptation is ready. There are a few different theories about the story behind the name “Janssons Frestelse”. The first is that the dish was invented by Per Adolf Janzon, an opera singer who lived between 1844 and 1889. Janzon was known to invite people over for parties with beer, snaps, and a potato and anchovie dish. The dish was apparently popular, and the name Janzon’s Temptation came about. The only thing that doesn’t seem believable with this story is that the name “Janssons Frestelse” first began to be used in the 1900s. Another theory about the inventor of Janssons Temptation is that Elvira Stigmark (1886-1953), a society lady, let the chef Mrs. Sofie Pauline Brogårde officially give a new name to an anchovie and potato dish – Janssons Frestelse – after a film with the same name (the film “Janssons Frestelse” from 1928). You can read more about the story of Jansson’s Temptation here. Have you ever eaten Jansson’s Temptation?